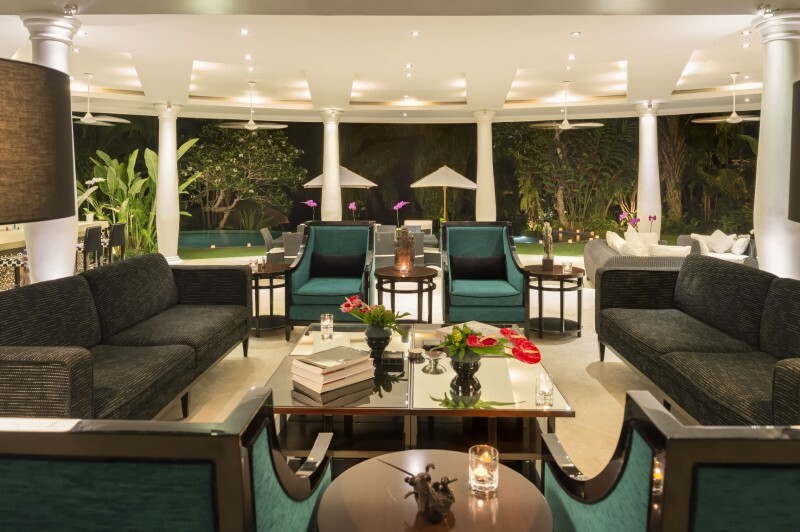 Located on the riverfront near Canggu, only a short distance away from the famous Echo Beach, this stunning luxury villa is the perfect choice for group vacations, weddings, events and family getaways. 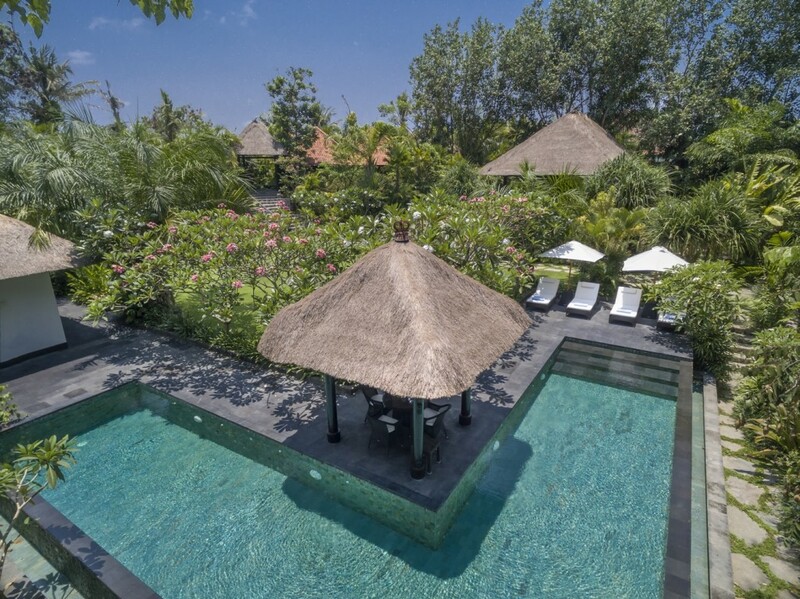 The villa accommodates up to 14 people and is the ideal location for an indulgent holiday at any time of the year. 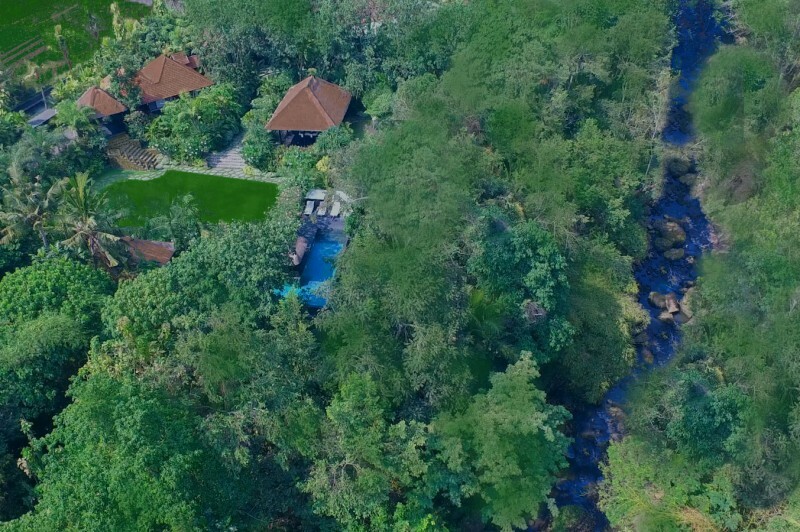 Uma Wana Prasta is surrounded by lush tropical gardens featuring hidden bales [roofed sitting areas], water features and many different viewpoints of the river below. 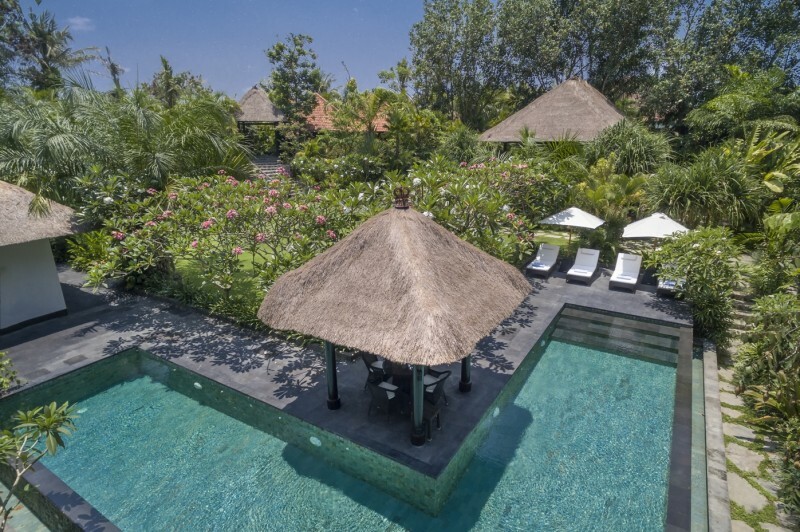 Whether it’s your first time to Bali, or you’re an island regular, the total privacy, luxury and natural beauty of Uma Wana Prasta (not to mention easy access to many of Bali’s best beach clubs, tourist sites and restaurants) make it the ideal base for your dream Bali vacation. Have you been left wanting more? 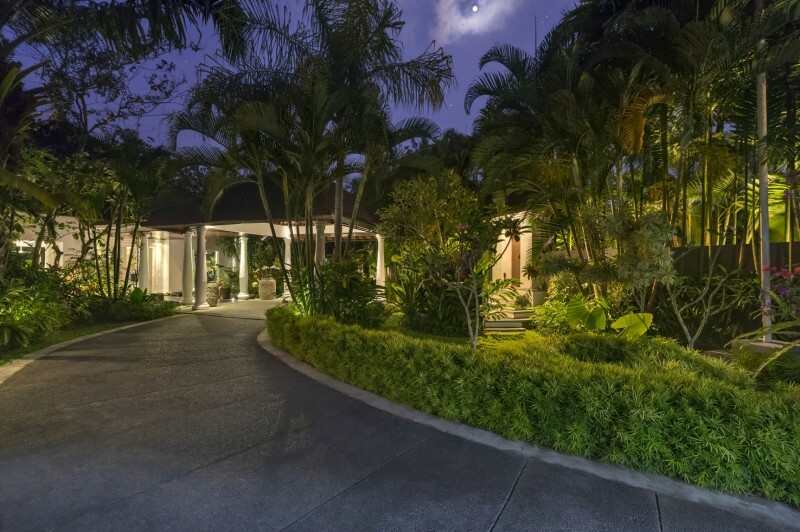 This luxury Bali estate offers plenty more beauty, just a click away. "I booked Uma Wana Prasta for a group of 14 for my 30th birthday and it absolutely exceeded my expectations. The pictures & descriptions do not do this villa justice. Nobody was disappointed with their bedroom which all had fantastic en suite bathrooms. There are multiple hang out areas which all have their own charm aided by excellent sound systems. We spent the whole weekend at the villa but as there were 2 pools, multiple dining and lounging areas throughout the estate, a games room and a bar we could've easily spent a week and not been bored! On top of all this the staff were top notch. Very friendly, accommodating and most of all effective. The owner put me in touch with the estate manager before we arrived and everything was ready when we got there. The estate manager is fluent in German, English and Bahasa which was of great help. I would highly (already have!) recommend this villa to anyone. 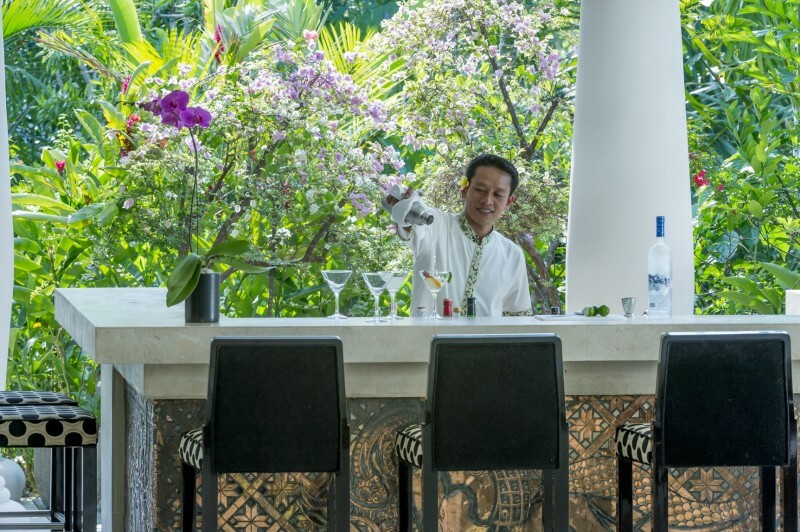 The proximity to the airport and Seminyak are added bonuses. " This estate is even more beautiful and luxurious than the pictures. The grand, astounding nature is impossible to capture in photos. I fully believe this to be the most remarkable place I will stay in my lifetime. The staff were most professional, kind and attentive and the food delicious. If the listing inspires dreams of the most remarkable holiday of your life, staying will absolutely exceed those dreams. "Had an amazing week away with friends and family to celebrate a 60th Birthday. Expectations exceeded as we were blown away on arrival. The staff went out of their way to ensure we were looked after, the rooms were stunning and the living areas spectacular. 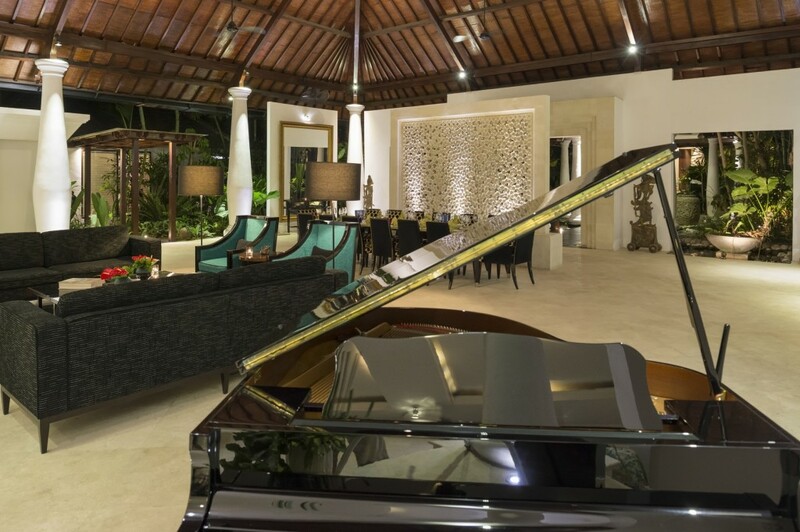 Getting around Bali was also made hassle free with our private driver. We will be back again to spend another week lounging by the pool, eating, drinking and relaxing. Little tip, make use of the masseuses, the perfect way to start and end the day." If you have any requirements, questions or booking requests, get in touch.